Better understanding of the influence of ice clouds (Cirrus) in the upper troposphere and lower stratosphere on the regional and global climate, water budget and chemical composition of air requires a smart determination of microphysical and optical properties of ice cloud elements. This needs in situ measurements and suitable modeling for different aerosol types. The later, however, demands the existence of some sort of correlation between different measurable parameters under different temperature and humidity of ice crystals growth. PHIPS (Particle Habit Imaging and Polar Scattering Probe) is an novel optical sensor designed to measure, simultaneously, the 3D morphology and the corresponding optical properties of individual cloud particles. It is composed of two combined optical systems. The first system measures the polar scattered light from cloud particles as they intersect a collimated CW laser. The second system is a stereo imaging system composed of two identical camera-telescope assemblies and a pulsed flash Laser. The scattering part of PHIPS-AIDA enables the measurement of polar scattered light of cloud particles with an angular resolution of 1� for forward scattering direction (from 1� to 10�) and 8� for the side and back scattering directions (from 18� to 170�). The two imaging assemblies are separated by an angular distance of 60�. 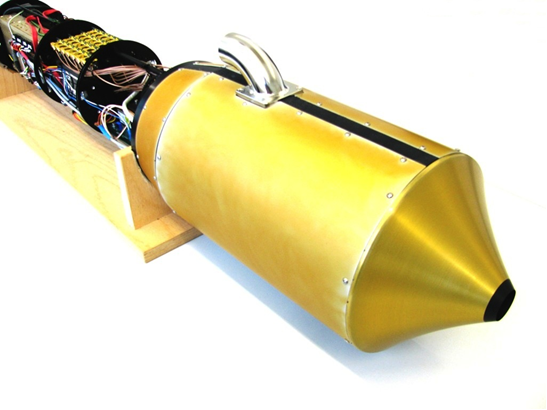 PHIPS-AIDA is the laboratory version of PHIPS-HALO which is one of the in situ ice particles and water vapor instruments which have been developed for the German research aircraft "HALO"